Elba Esther Gordillo, the head of Mexico’s powerful, 1.5-million strong national teachers’ union, has been arrested for charges related to corruption, according to authorities in the country.Gordillo is a very big deal — her nickname is “La Maestra,” or in English, “The Teacher”. The BBC says she is “known as Mexico’s most powerful woman”, while the New York Times says she is “a bombastic figure viewed as a kingmaker among politicians for her ability to deliver votes and suppress enemies”. However, the charges look likely to be a major battle, even for Gordillo. 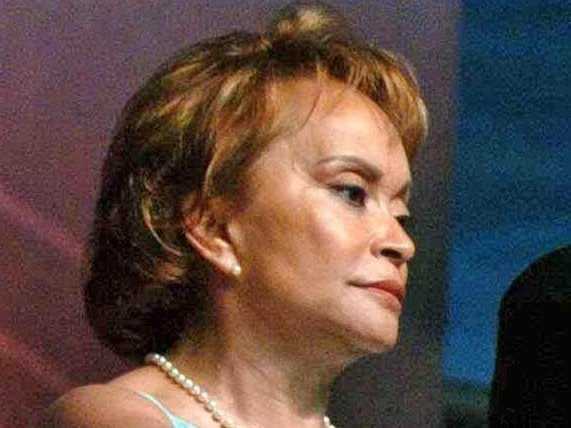 The Miami Herald reports that Attorney General Jesus Murillo Karam has accused Gordillo and her top aides of misusing more than $200 million in union money. That money was reportedly linked to bank accounts in Switzerland, plastic surgery, and even a $2.1 million shopping spree at the Neiman Marcus store in San Diego. In a perhaps telling detail, Gordello was arrested as she got off a private jet at Mexico City’s airport. Another important detail is the timing. Mexico’s President, Enrique Peña Nieto, yesterday signed into law big changes in education law — changes designed to break the union’s hold on hiring. The union was once a big supporter of Peña Nieto’s party, the Institutional Revolutionary Party (PRI), but had abandoned the party when they were out of power, and supported Peña Nieto’s successor, Felipe Calderón, who was a member of the rival Partido Acción Nacional (PAN).